Preheat oven to 350 degrees. Whisk together honey through salt and pepper. Toss with the rolled oats. Spread evenly across a silpat mat or parchment lined baking sheet. Bake for 15 to 20 minutes or until golden brown, stirring periodically to ensure the oats brown evenly. Garnish lots of dinner things. 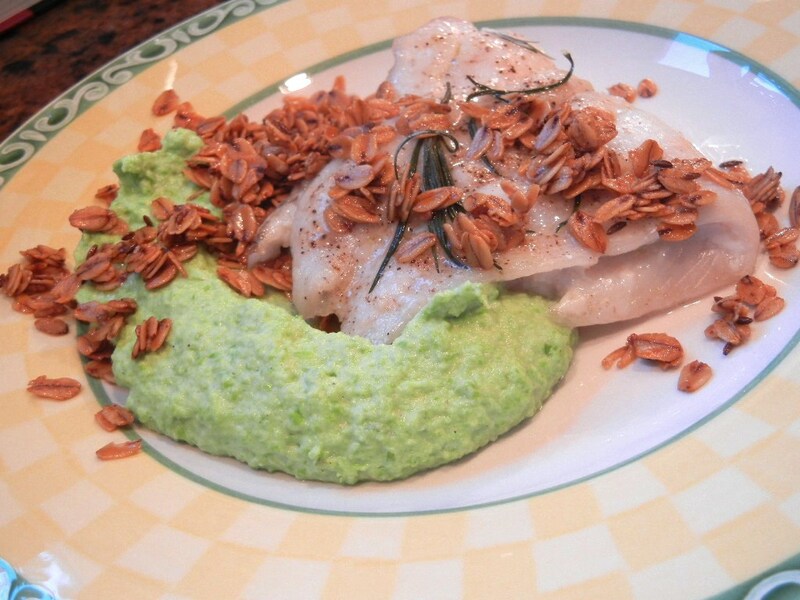 Fish with an edamame puree, for example. Playlist included This Head I Hold, by Electric Guest. 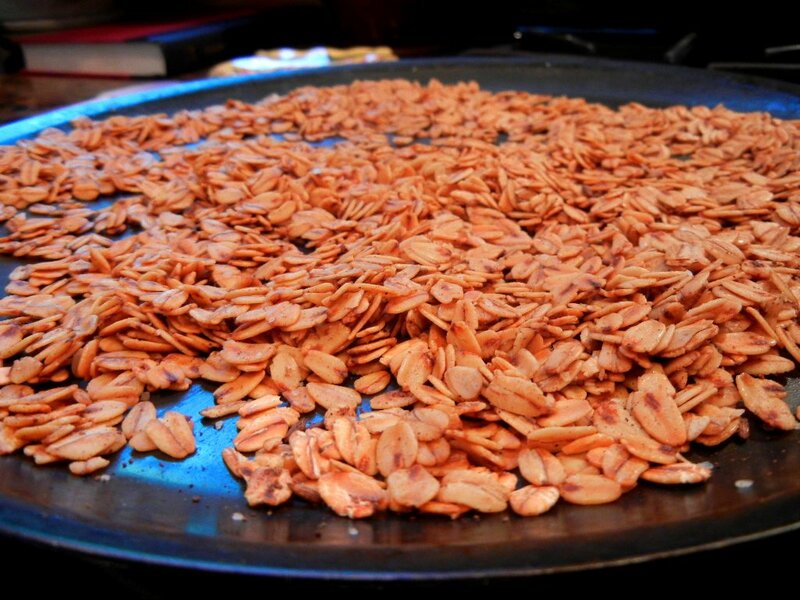 We make our own granola and use olive oil to add a savory touch, bu the cumin is a great idea- we will try this. Thanks. Nice photo – I make granola, but usually only think of it as breakfast – not as a crunch for dinner. Nice idea.